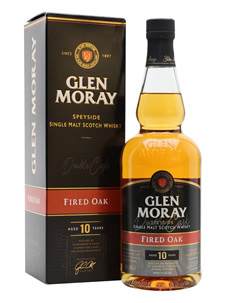 Just in from Elgin a new expression of Glen Moray – Fired Oak. A dram matured for 10 years in bourbon casks and finished for 10 months in virgin heavily charred American oak casks, a new creation by Graham Coull (Master Distiller). Graham said: ‘Fired Oak is all about enhancing flavours rather than adding different character. The Virgin Oak intensifies the existing vanilla and spice flavours which have come from the ex-bourbon barrels. Let’s have a wee tasting. Nose… Very inviting, a subtle sweetness seduced me with vanilla toffee, brown sugar, peach melba, freshlly baked apple pie. Taste… Juicy wine gums, custard creams, honey and maple syrup on pancakes, a sunshine glow of tropical fruits, coconut, very sweet, mouth-watering and lip-smacking, so easy to sip. Finish… Medium to long finish, sweet oak, fresh pineapple and vanilla ice cream. Graham and his team up at Glen Moray have another winner on their hands, priced at only a shade over £35.00 it is a bit of a steal. With the Cider Cask Project and this Fired Oak the Glen Moray range is just getting stronger and stronger. 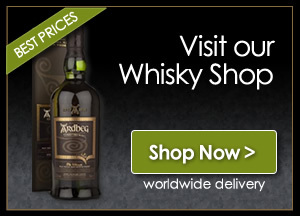 Looking forward to having this new expression in the Whisky Boys cabinet.